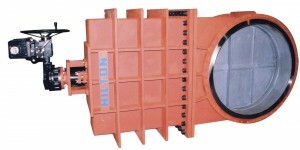 Fabricated Wedge Gate Valves employ a solid wedge design which provides tight shutoff. Available in specialty and custom designs including narrow or custom face-to-face dimension. H-110-M, Marine Construction with Monel wetted parts or Monel trim and epoxy coated interior.